Litten Park (often referred to as Church Litten by locals) in Newport is on the site of the old burial ground of St Thomas's Church and, to the south, the site of Bradley Lodge which fronted Medina Avenue. The old burial ground had been the town 'butts' (archery practice grounds) until 1583 when the arrival of the plague necessitated a new burial ground for the dead of Newport (previously, the dead of Newport had been buried at St Mary's Church Carisbrooke). The Church Litten burial ground continued in use until 1858 which Newport Cemetery became the place of most burials of Newport residents. Bradley Lodge (early maps show it as St Nicholas Villa) had been destroyed by enemy bombing in April 1943 with the loss of the lives of Dr S A Arbuthnot and his maid, Elizabeth Grace Draper. A number of reports in the IWCP show that various suggestions were made in the early 1900's of turning the old burial ground into an open area for the leisure of Newport residents. However it was not until 1950 that it was decided to clear the headstones and memorials (a very few, including Valentine Gray's, remain) and combine the old burial ground with the site of Bradley Lodge to form a public park. 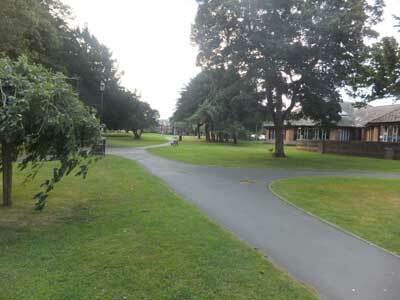 The site of Bradley Lodge and its grounds can be identified by the wider area of the park from roughly the enclosed children's play area to Medina Avenue (2018). 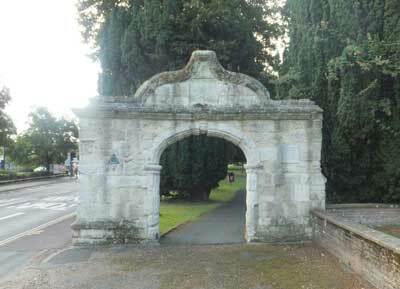 A plague on the original burial ground entrance arch reads 'BOROUGH OF NEWPORT. LITTEN PARK. LAY-OUT INSPIRED BY MRS ELIZABETH RUBY CHANDLER O.B.E.. MAYOR 1930. HONORARY FREEMAN OF THE BOROUGH'.